Eddie Michael “Mike’ Franklin passed away at his home in Alberta, Virginia on March 8, 2018 after a long battle with liver cancer. He was born to Ronald Keith “Bill” and Nancy “Nan” Franklin on January 13, 1957 in Logan, West Virginia. As a child his family relocated to Virginia Beach, Virginia. Later he would eventually relocate as the store owner of Dundas Grocery in Dundas, Virginia. 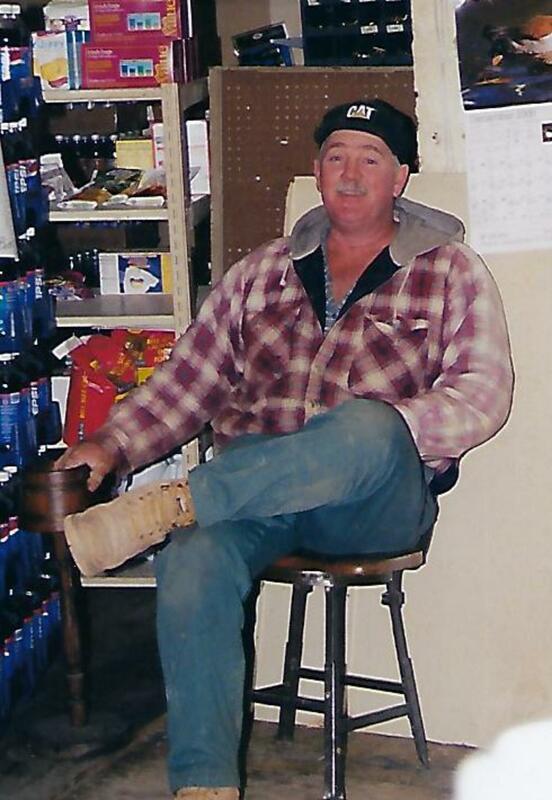 He and his late wife Phyllis successfully ran Dundas Grocery for over 12 years. His hobbies included racing cars, fishing, helping anyone who needed a hand with anything, and spending time with his many friends and family members. He is preceded in death by his wife Phyllis Leona; his brother David “Keith” Franklin; his father Ronald Keith “Bill” Franklin; and his son Donald Lee Parker. He is survived by his mother Nancy “Nan” of Dundas, Virginia; two sisters Teresa (David) Winfrey and Tammy (Mark) Martin both of Virginia Beach, Virginia; a sister-in-law Victoria Franklin of Dundas, Virginia; Four children, Michelle (Neal) Adams of Virginia Beach, Virginia; Michael “Mikey” (Danielle) Franklin of Dundas, Virginia; Crystal (Chris) Crouse of Fredericksburg, Virginia; and Ronald “Ronnie” Franklin; Eight grandchildren, Ashley, Blake, Zac, Tyler, Wyatt, Mackenzie, Lucas, and Kendall; as well as a host of many other family members and his beloved dog Cujo (aka: Honey BooBoo). A celebration of Love and Life will be held at Dundas Hunt Club, 10492 Longview Drive, Kenbridge, Virginia 23944 on March 25th, 2018 at 2pm. In remembrance of Mike, please consider making a donation to the American Cancer Society. Flowers may be received until March 24th at Clarke Funeral Home in Kenbridge, Virginia. Online condolences can be made at www.clarkefh.com.